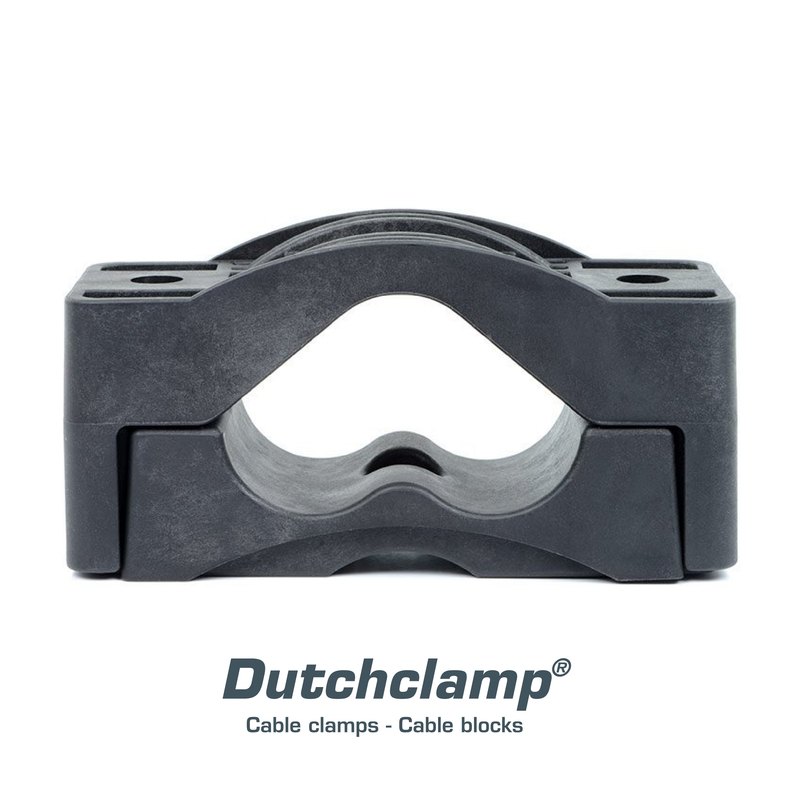 Dutchclamp has been developing and producing innovative cable clamps (cable cleats) and cable blocks for the mounting of low, medium and high voltage cables since 1982. The clamps have been designed in close collaboration with major energy companies. Dutchclamp is globally renowned for its quality, service and reliability. Dutchclamp cable clamps and cable blocks are now being successfully used in more than 50 countries around the world. 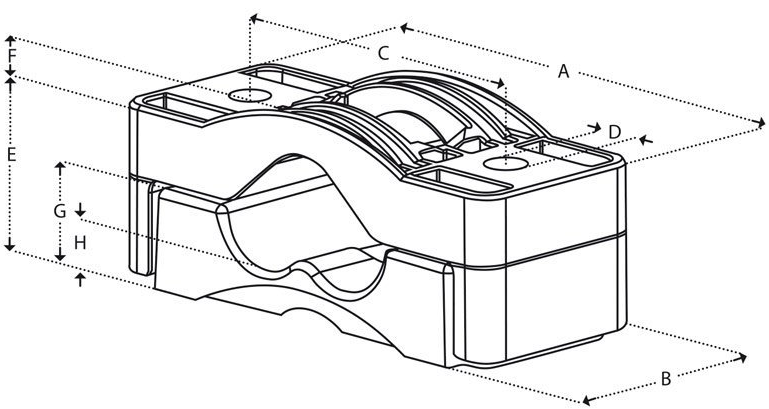 Unique design: The unique design means that each cable clamp (cable cleat) offers an exact fit for the necessary short circuit proof mounting of valuable cables. Raw materials: Dutchclamp cable clamps (cable cleats) are produced from high-quality virgin raw materials, with glass fibre reinforced polyamide as the main ingredient. Dutchclamp cable clamps (cable cleats) are self-extinguishing and halogen free. Robustness: Owing to the unique design combined with the specific composition of the raw materials, these cable clamps (cable cleats) are among the strongest in the world. They are specially designed to withstand the enormous forces that occur during short circuiting and have been tested by various laboratories. Diversity: Suitable for single and multiple core cables individually mounted, from Ø 12 mm up to 170 mm, and for cables mounted in a triangular configuration, from Ø 27 mm up to 150 mm. Tests: The cable clamps (cable cleats) have been tested by UL (Underwriters Laboratories U.S.A), Prof. Ir. Damstra Laboratory (Eaton), Volta laboratory in Grenoble (Schneider), KEMA and SGS Brussels, in accordance with international safety standard NEN-EN-IEC 61914:2009. (All test reports are available upon request). Short circuit resistant to 202 kA. Resistant to oils, fats, frost, heat, UV, ozone, salts, moisture, acid, aggressive chemicals and even nuclear radiation. Triple, SEG and IM types are stackable. Certified in accordance with the IEC 61914:2009 international standard.